Are you ready for a whole new YOU? This Package has men rejoicing. Elizabeth begins with a Style Consultation to identify your style, body shape, colouring, and all-encompassing fashion requirements. Included in your Ultimate Package is a 2-hour Wardrobe Analysis, Elizabeth will work with you on your current wardrobe to organise, cull and create styled looks as well as consider garments for alteration. She will also create a guide of staple styles for you to reference and apply from your existing wardrobe. On day 2, Elizabeth will accompany you on a 2-hour Personal Shopping experience, to help you find pieces to purchase which compliment your body shape, fit your budget whilst focused on enhancing your new look style needs. She explains useful methodology for you to apply and provides you with comprehensive knowledge to implement into your everyday life. A Wardrobe Integration then shows you how to incorporate your new items into your existing wardrobe. The cherry on top is your ultimate barber pamper treatment carried out by the highest quality grooming service experts who will leave you feeling relaxed, looking sharp and feeling on top of the world. 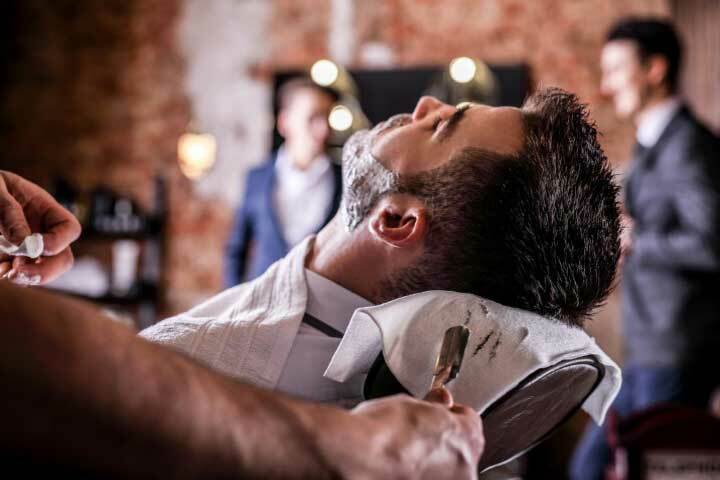 They will professionally consult you on latest hair styles, manscape, massage and indulge you in a hot towel shave treatment as well as consult you on products with a care tutorial. Leaving you styled to perfection. A Digital Lookbook completes the process, with outfit and styling suggestions tailored especially to your platform that you can access at any time. Style Support allows you to reach out to the stylist should you have any questions on what to wear or how to buy within the two weeks immediately following your sessions. The Ultimate Restyling Package is great value for only $565, (when priced individually it’s valued at $620).